For the Progressing Singer. Composed by Various. Edited by Richard Walters. Vocal Collection. Play Along. Softcover Audio Online. 56 pages. 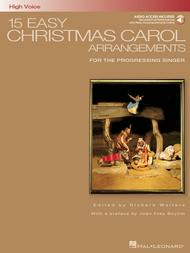 Published by Hal Leonard (HL.459). ISBN 1423413369. 9x12 inches. (ed. 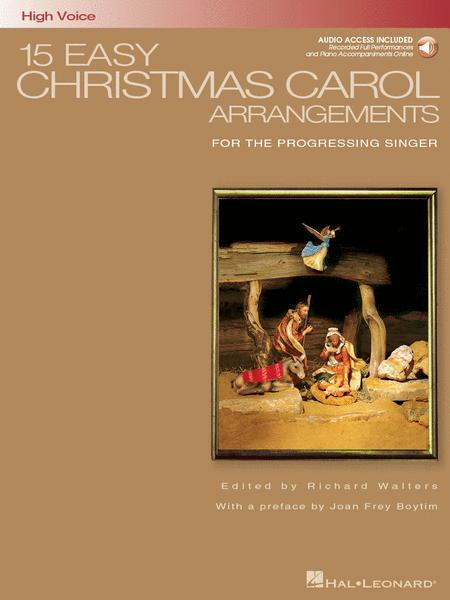 Richard Walters with a preface by Joan Frey Boytim) Book/Online Audio. Fresh arrangements for first and second year voice students, with intermediate level piano parts. Beyond educational use, it goes without saying that carols make excellent church solos. Songs include: Away in a Manger • Coventry Carol • The First Noel • Infant Holy, Infant Lowly • Joseph, Dearest Joseph Mine • O Come, O Come Emmanuel • Silent Night • Sussex Carol • 7 more. Includes access to recordings of piano accompaniments, accessed online for download or streaming.